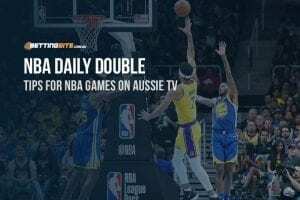 2018 NBA Rookie of the Year betting | Can Mitchell catch Simmons? Can Donavan Mitchell catch Ben Simmons in NBA Rookie of the Year race? The 2018 NBA All-Star game is over and while Donovan Mitchell captured the Slam Dunk Contest, is there a bigger award in his sights? 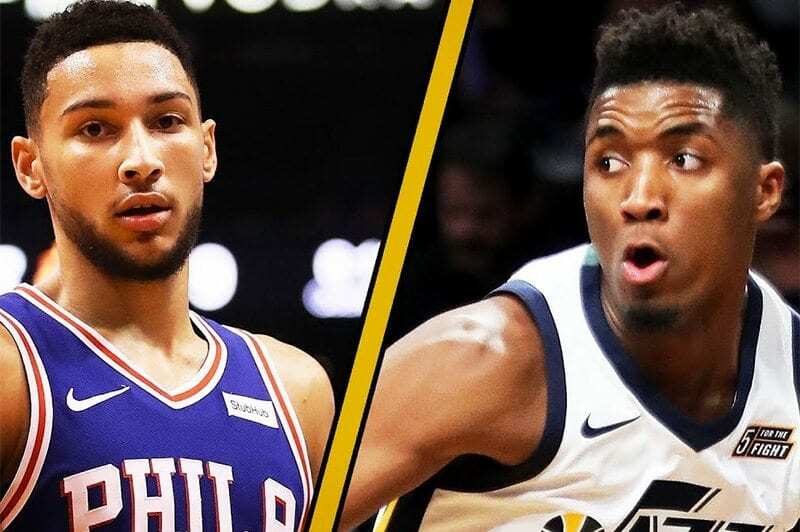 The Utah star is chasing Philadelphia’s Ben Simmons – the bookmaker’s favourite – for the NBA Rookie of the Year. Can Mitchell turn what once looked like a one-man race into a true competition in the second half of the 2017/18 season? Mitchell leads all rookies in scoring, has increased his scoring and put his team the in the playoff race, reeling off 11 straight wins before the break. Simmons leads all rookies in rebounds, assists, steals and ranks second in scoring and 3rd in blocks per game. Still, Mitchell may be closing in on Simmons with his play before the break and also because his scoring may even increase in the second half of the season. Mitchell is averaging 19.6 ppg, but he does not average over four rebounds or assists per game. Entering the 2nd half of the season the Jazz had their great win streak and the rookie was a big factor, averaging 21.3 ppg in that span. Mitchell accounts for nearly 30 per cent of the Jazz offense and that number may rise, considering the team traded away Rodney Hood, who was the second leading scorer putting up 16.8 ppg. Mitchell may have to shoulder more of the offensive load even though the team did get Jae Crowder (14.7 ppg) in the Hood deal. Will playoffs make a difference in ROY votes? While Simmons has led the Philadelphia 76ers back into the playoff picture, Mitchell has as well and entering the second half of the season the 76ers and Jazz have the same amount of wins. Philly is in the seventh spot in the Eastern Conference, while Utah has climbed to the 10th spot in the Western Conference. Simmons is averaging 16.4 ppg as well as 7.4 rpg and 7.8 assists per game. In his last game before the break he had a triple-double, which was his sixth of the season and only Magic Johnson had that much as a rookie, back in 1980. It seemed as of the ROY trophy already had Simmons name etched on it, but Mitchell is making it interesting. The second half of the season will obviously tell who wins the award, but how can Mitchell catch the 6’10” point guard from the City of Brotherly Love? He may not have to amp up his scoring, but if he can improve his numbers on the glass and dishing the rock that would help. Simmons is averaging 3.2 fewer ppg than Mitchell, but his rebounds per game and assists per game are over double his closest competition. The win in the Slam Dunk Contest helped Mitchell, as it gave him more hype and this is especially the case with Utah’s win streak before the All Star break. Still, the buzz from Simmons has not died down since he missed all last season with a foot injury and was the number one pick in the 2016 draft. He has his 76ers in the playoff race, but so does Mitchell. If the season ended after the first half, Simmons would have won the ROY award with Mitchell closing the gap. However, how much more can he do after averaging over 21 ppg in the 11 games before the All-Star break? Simmons’ numbers will have to dip, the 76ers take a nosedive, or he misses time with injury to let the Utah shooting guard back in the race. Mitchell is a 6’3″ guard that can score, which is not that rare, compared to Simmons, who is 6’10” PG and there are not many giants running the point in the NBA. The award is his to lose, but unlike a month ago the Rookie of the Year award is not in the bag.